We offer a variety of construction hard hats & head protection that are OSHA approved. Choose from brands 3M, ERB, Honeywell, MSA, Pyramex, Safety Works & more. Protecting your head on the job site is important. We never want to think about what could happen to your employees or visitors. But protecting against falling objects, flying objects, impacts & bumps are vital when operating your business. Whether you’re looking for basic construction hard hats or even carbon fiber construction hard hats, we have you covered. 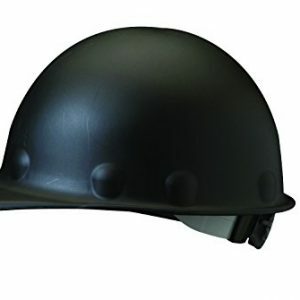 With our stylish, lightweight shells, comfortable padding & adjustable height, your employees will love to wear their new helmets. We added extensive amazon reviews to our products to help make your research easy & simple. If for any reason you do not see a particular construction hard hat that you are looking for, please send us a Facebook message so we can add it for you. Skullgard helmets have been tested to radiant heat loads producing temperatures up to, but not exceeding, 350F. ANSI/CSA Type I Compliant, Protects from vertical impacts and penetrations ANSI/ISEA Z89.1-2014 (Class G) Compliant, provides dielectric protection up to 2,200 volts. Beautiful outlook and modern design. Environmental protection,energy saving and high technology. Fit Construction workers, cyclo, motorcycle drivers,firefighters and other workers in the sunshine.